One of this week’s most talked-about new movies is the stunning British indie Jellyfish, which stars rising actress Liv Hill as a teenage girl forced to care for her two younger siblings and her manic-depressive mother, while also juggling responsibilities at school and at work – all while finding a natural talent for stand-up comedy. In anticipation of its release this Friday, we caught up with the film’s director, producer and co-writer James Gardner to give us the lowdown on what made his debut feature tick. 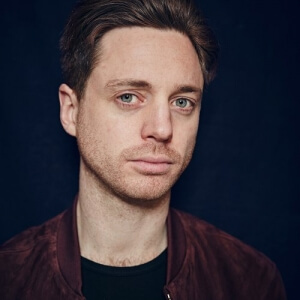 James is a native of Hereford, England, and his first short film Two Dancers – which starred The Libertines’ Carl Barat – landed him a spot on the coveted Directing Fiction MA course at the prestigious National Film and Television School. Whilst at the NFTS, James made several more shorts, including the award-winning Ferris & The Fancy Pidgeon, before deciding to venture into feature filmmaking with Jellyfish (the trailer for which is right below). Since premiering the film at the 2018 Tribeca Film Festival, James has been travelling around the world, promoting and sharing his debut feature at several film festivals in locations such as Edinburgh and Rome, and also collecting a bunch of awards including the Grand Jury, Critic, Screenplay and Performance awards at the Dinard British Film Festival, and most recently a couple of “Golden Goat” Grand Jury and Youth Jury prizes at the Ale Kino! Festival in Poland. First of all, congratulations on such a powerful film, it’s truly something special. How did this project first come about? Well, I started writing the outline of what became the story towards the end of my Masters at the National Film and Television School, and what came first was Sarah [the lead character, played by Liv Hill] and her circumstances, and also Margate [where the film is set]. Ultimately, I wanted to tell a story about a young person that had a very specific set of circumstances that threatened to stifle the discovery of a talent. I was aware about young carers, but it wasn’t until I really started developing the idea that I realised that there was actually a really important story to be told, and that was when all my research and everything began, and started to inform this story, and eventually this script. The film tackles a lot of heavy topics like mental illness, being a young carer and welfare hardships, to name a few. Why did you feel it was important to spotlight these issues in your story? I felt like it was important because they are things that we generally don’t talk about, primarily how being a young carer is quite literally hidden behind closed doors. As a filmmaker, you have a responsibility to tell an emotionally engaging and compelling story, but when you’re dealing with real-world issues there’s also a responsibility to get the facts right, and to make sure the issues you’re representing on the screen are done in an authentic way. It was just really important to me that the film came across as authentic and genuine, and I hope that it adds to the conversation that we’re all not really having about how we can better support vulnerable young people in Sarah’s situation, because there’s a Sarah in every town up and down the country. Comedy plays a huge role in this film, almost like it’s a character of its very own. With all these hard-hitting issues being portrayed in the film, was there ever a worry that this aspect could undermine some of their impact? Not really, because I think the way in which the issues are handled and the way in which the comedy is handled all comes from a very genuine place, and as the director of the film I was well aware of how far I could push the comedy because, like I already mentioned, you have a responsibility to the real-world issues so there’s only so far you can take them. It’s all about context, so a joke that’s told in the film comes from the context of the story, and I think all of the comedy in the film comes from within the film and not outside of it, so I was aware of it but I was always felt like the story we were telling was coming from such an honest and genuine place that I never once really thought that there was any danger of us coming across like we were making fun of anything. It was a question that I asked myself quite a lot when I was figuring out how to direct the script, but it was never something of a worry because while it was a good question to ask I just had to make sure that I was making the sensible decision about these things. Another major character in this film seems to be the seaside town of Margate – what was the experience like when you were filming there, and how do you feel it contributed to the overall power of the story? As I said before, Margate came with the idea of the story itself, and as soon as I had the idea for Sarah I had the idea to set it in Margate. The situation that Sarah’s in is not an indictment of Margate itself, because like I said there’s a Sarah in every town, city and village up and down the country, and worldwide. The reason that I chose to set it in Margate was because it is a place that’s been caught up in the rapid gentrification process and what’s really interesting to me is that a family like Sarah’s, that are on the fringes of society, were caught up in it. It was a gift in terms of the location because the light’s fantastic, and all the locations that we shot in were effectively free. They do elevate a very, very low budget film and give it a production value that I think you couldn’t have gotten from elsewhere. There are lots of different reasons, like how even though the film is not explicitly about the Margate gentrification process, it does put the film in a very specific social context which was really important to tell the story I wanted to tell. You’ve gathered a very strong cast for this film, led by an absolutely astonishing Liv Hill. How important was it to find the right people to play these characters, and with Hill what compelled you to cast her as your lead? The casting process was at once very simple and also extremely complicated. I managed to cast Cyril [Nri, who plays Sarah’s drama teacher Mr. Hale], Sinead [Matthews, who plays Sarah’s manic-depressive mother Karen] and all the other roles really easily because they were all my first choices, which was remarkable for me considering the only thing I was really offering them was the part. There was no financial incentive attached to the project, because everyone in the cast and crew worked for a deferred contract, so effectively no one was being paid. Finding Liv was very, very difficult, it took about seven months of me and my co-producer going all over the place trying to find the right actress. I must have been through Spotlight [a casting agency] about three times and saw hundreds of self-tapes and reels, and we went to drama showcases, contacted Facebook groups and many others. It was just never-ending, and at one point I did think that I had written an impossible script. In the end it just came down to a piece of luck, because Cyril’s agent called me to ask if the film was still happening on our second attempt to start shooting, because we missed our first shooting window, as he had been offered another job that clashed with shoot dates that we pencilled in. I said that it was still happening, because at that point you had to have the determination and belief that it will, and then the agent asked who was playing Sarah and I said I wasn’t sure yet as I hadn’t found her and without an actress for Sarah, there wasn’t a film. She then asked if I could send her the script again and I’ll send you over somebody who I’ve got in mind, and it turned out to be Liv, who had just signed with the agency. That’s kind of how it happened, and because she didn’t have a page on Spotlight or any online presence to speak of so there would have been absolutely no way I would have ever found her if she hadn’t been presented to me by Cyril’s agent. It took a lot of faith and a lot of hard work, and in the end just a bit of luck, but as soon as I saw that tape I just saw this ability and talent in her, and it was clear that she was Sarah. I feel really lucky to have worked with her, because she’s just brilliant. There is a very surprising turn around the end of the second act, including something that by all accounts is very hard to stomach. How did you communicate with your editor, cinematographer etc. to make sure it was executed as tastefully as possible? That was something that my co-writer and I had heated discussions over, because we knew what we were addressing, we knew what it meant to put that in the film, and we debated the absolute hell out of whether or not it was something that belonged in the story, if we needed it, and all these different things. In the end, we decided that it needed to be in the story because of the experiences that we had come across when talking to young carers through our research, and we knew that this was a problem that did happen frequently, and to not include it would be almost to shy away from the true nature of the problem. We wrote the screenplay pre-#MeToo, so it’s a lot easier to talk about sexual abuse now but in 2015/16 it wasn’t really a conversation anyone was having, and we felt like it was the right thing to do at the time despite it being such a difficult topic. Then, as a director, you’ve got a decision to make, because if it’s going to be in the screenplay, then you have to figure out what it means to the story, and because we had many discussions about what it meant when we were writing the screenplay, that helped inform my decision about how I was going to execute it and shoot it. I wanted the audience to feel something when that particular scene is taking place, because the last thing you want is for it in any way to come across as gratuitous or shocking for the sake of it. It’s about how it feels to be in that situation in that moment of time, and that was eventually how I came up with the idea of executing it in the way I did. You’ve been all over the world with this film, and it seems that audiences everywhere are really responding very strongly towards it. Do you feel that despite it being a very British movie there is a universal quality to it that anyone can identify with? I’d like to think so, because thematically speaking there’s of course the strand in the story about a young person who discovers this talent and how the universe kind of conspires against them to stifle it, and I think everybody knows what it’s like to feel as though you’re not going to get the chance to really express yourself and be who you want to be. There’s also the nature of what it is to be a young carer and what it is to care for family, and I think that is something that strikes a chord with people, whether or not they have experience of being a carer or know somebody that has, which is great because like I said earlier what I really hope the film does is that people take away from it not just an emotional response but also time to reflect and then think a little bit differently in the future about how we better support vulnerable young people. Ultimately, the film can’t do anything by itself, so it’s about the response and the actions that people adopt after the fact that can really make the difference. Jellyfish is one of many recent British independent films that have really left a mark on audiences, along with other films like Apostasy and Lady Macbeth. Would you say that the British film industry is really starting to favour more and more upcoming talent in front of and behind the camera? I couldn’t possibly speak to that, to be honest, because we made the film completely independently with no support from any institution or scheme or government funding, so I can only really speak from my personal experience. It is great that films like Lady Macbeth and Apostasy do so well, but I think there is a struggle at the moment for any film because obviously there’s just so much content out there, and TV’s gotten so good and everyone has Netflix so why pay to go to the cinema when you can just sit on the sofa? It’s difficult when there’s a burning desire to tell an important story, so I’m not sure you can think like that and instead should just believe that your film will find its audience, because if you care about it as much as you do, then other people will too. If you had any advice you would give to a debuting filmmaker such as yourself, what would it be? Wow, I could talk all day about that! I think that it’s an amazing time in the democratisation of filmmaking, and to kind of talk about a feature film that I made with an incredibly low budget without the backing of any studio or government scheme or system is something I never would have thought I’d say five years ago, and definitely not ten years ago, or maybe not even as long as five years. We’ve now got cameras on our phones, and with them the ability to tell stories in ways that we never had before, so it’s an incredible time for any kind of budding filmmaker that thinks it might be too hard or impossible to get the money. I would say that because you’ve got a camera in your pocket, although you would need to get good sound recording equipment because that’s a given, it is possible since all you need is a good group of enthusiastic people that want to make the film as much as you do, and the rest of it is up to you. Finally, have there been any films you have seen recently that have really left a mark on you? I loved Cold War, I thought that was brilliant, and I watched First Reformed recently as well. I’m a bit late to the party on that one because I watched that after it was in cinemas, but that was great. I really loved it; it was really unsettling, so that really left a mark on me, actually. Many thanks once again to James Gardner for answering our questions about the film, and if you want to see what all the fuss is about then catch Jellyfish in cinemas from Friday 15th February 2019.